The Westminster system is a parliamentary system of government developed in the United Kingdom. This term comes from the Palace of Westminster, the seat of the British Parliament. The system is a series of procedures for operating a legislature. It is used, or was once used, in the national and subnational legislatures of most former British Empire colonies upon gaining responsible government, beginning with the first of the Canadian provinces in 1848 and the six Australian colonies between 1855 and 1890. However, some former colonies have since adopted either the presidential system (Nigeria for example) or a hybrid system (like South Africa) as their form of government. A sovereign or head of state who functions as the nominal or legal and constitutional holder of executive power, and holds numerous reserve powers, but whose daily duties mainly consist of performing ceremonial functions. Examples include Queen Elizabeth II, the Governors-General in Commonwealth realms, or the presidents of many countries, and state or provincial governors in federal systems. Exceptions to this are Ireland and Israel, whose presidents are de jure and de facto ceremonial, and the latter possesses no reserve powers whatsoever. A head of government (or head of the executive), known as the Prime Minister (PM), Premier, Chief minister, First Minister or Chancellor (e.g. in Germany). While the head of state appoints the head of government, constitutional convention suggests that a majority of elected Members of Parliament must support the person appointed. 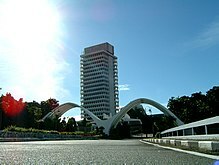 If more than half of elected parliamentarians belong to the same political party, then the parliamentary leader of that party typically is appointed. An exception to this was Israel, in which direct prime-ministerial elections were made in 1996, 1999 and 2001. An executive branch led by the head of government usually made up of members of the legislature with the senior members of the executive in a cabinet adhering to the principle of cabinet collective responsibility; such members execute executive authority on behalf of the nominal or theoretical executive authority. An independent, non-partisan civil service which advises on, and implements, decisions of those ministers. Civil servants hold permanent appointments and can expect merit-based selection processes and continuity of employment when governments change. A parliamentary opposition (in a multi-party system) with an official Leader of the Opposition. A legislature, often bicameral, with at least one elected house – although unicameral systems also exist; legislative members are usually elected by district in first-past-the-post elections (as opposed to country-wide proportional representation). Exceptions to this include New Zealand, which changed in 1993 to use mixed-member proportional representation; Israel, which has always used country-wide proportional representation; and Australia, which uses preferential voting for House of Representatives elections and the single transferable vote for the Senate. A lower house of parliament with an ability to dismiss a government by "withholding (or blocking) supply" (rejecting a budget), passing a motion of no confidence, or defeating a confidence motion. A parliament which can be dissolved and snap elections called at any time. Parliamentary privilege, which allows the legislature to discuss any issue it deems relevant, without fear of consequences stemming from defamatory statements or records thereof. The ability of courts to address silence or ambiguity in the parliament's statutory law through the development of common law. Another parallel system of legal principles also exists known as equity. Exceptions to this include India, Quebec in Canada, and Scotland in the UK amongst others which mix common law with other legal systems. 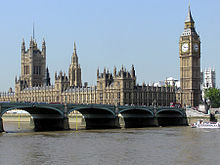 Most of the procedures of the Westminster system originated with the conventions, practices, and precedents of the Parliament of the United Kingdom, which form a part of what is known as the Constitution of the United Kingdom. Unlike the uncodified British constitution, most countries that use the Westminster system have codified the system, at least in part, in a written constitution. However, uncodified conventions, practices, and precedents continue to play a significant role in most countries, as many constitutions do not specify important elements of procedure: for example, some older constitutions using the Westminster system do not mention the existence of the cabinet or the prime minister, because these offices were taken for granted by the authors of these constitutions. Sometimes these conventions, reserve powers, and other influences collide in times of crisis and in such times the weaknesses of the unwritten aspects of the Westminster system, as well as the strengths of the Westminster system's flexibility, are put to the test. As an illustrative example, in the Australian constitutional crises of 1975 the Governor-General of Australia, Sir John Kerr, dismissed Prime Minister Gough Whitlam and replaced him with opposition leader Malcolm Fraser. The pattern of executive functions within a Westminster System is quite complex. In essence, the head of state, usually a monarch or president, is a ceremonial figurehead who is the theoretical, nominal or de jure source of executive power within the system. In practice, such a figure does not actively exercise executive powers, even though executive authority may be exercised in their name. The head of government, usually called the prime minister or premier, will ideally have the support of a majority in the responsible house, and must in any case be able to ensure the existence of no absolute majority against the government. If the parliament passes a resolution of no confidence, or refuses to pass an important bill such as the budget, then the government must either resign so that a different government can be appointed or seek a parliamentary dissolution so that new general elections may be held in order to re-confirm or deny the government's mandate. Executive authority within a Westminster System is essentially exercised by the Cabinet, along with more junior ministers, although the head of government usually has the dominant role within the ministry. In the United Kingdom, the sovereign theoretically holds executive authority, even though the Prime Minister of the United Kingdom and the Cabinet effectively implement executive powers. In a parliamentary republic like India, the President is the de jure executive, even though executive powers are essentially instituted by the Prime Minister of India and the Council of Ministers. In Israel, however, executive power is vested de jure and de facto in the cabinet, and the President of Israel is de jure and de facto a ceremonial figurehead. As an example, the Prime Minister and Cabinet (as the de facto executive body in the system) generally must seek the permission of the head of state when carrying out executive functions. If, for instance the British Prime Minister wished to dissolve parliament in order for a general election to take place, the Prime Minister is constitutionally bound to request permission from the sovereign in order to attain such a wish. This power (along with others such as appointing ministers in the government, appointing diplomats, declaring war, and signing treaties, for example) is known as the Royal Prerogative, which in modern times is exercised by the sovereign solely on the advice of the Prime Minister. Since the British sovereign is a constitutional monarch, he or she abides by the advice of his or her ministers, except when executing reserve powers in times of crisis. This custom also occurs in other Westminster Systems in the world, in consequence from the influence of British colonial rule. In Commonwealth realms such as Canada, Australia and New Zealand, the Prime Minister is obligated to seek permission from the Governor-General when implementing executive decisions, in a manner similar to the British practice. An analogous scenario also exists in Commonwealth republics, such as India or Trinidad and Tobago, where there is a President, though not in Israel or Japan, where the respective prime ministers have the full legal power to implement executive decisions, and presidential (in Israel) or imperial (in Japan) approval is not required. The head of state will often hold meetings with the head of government and cabinet, as a means of keeping abreast of governmental policy and as a means of advising, consulting and warning ministers in their actions. Such a practice takes place in the United Kingdom and India. In the UK, the sovereign holds confidential weekly meetings with the Prime Minister to discuss governmental policy and to offer her opinions and advice on issues of the day. In India, the Prime Minister is constitutionally bound to hold regular sessions with the President, in a similar manner to the aforementioned British practice. In essence, the head of state, as the theoretical executive authority, "reigns but does not rule". This phrase means that the head of state's role in government is generally ceremonial and as a result does not directly institute executive powers. The reserve powers of the head of state are sufficient to ensure compliance with some of their wishes. However, the extent of such powers varies from one country to another and is often a matter of controversy. Such an executive arrangement first emerged in the United Kingdom. Historically, the British sovereign held and directly exercised all executive authority. George I of Great Britain (reigned 1714 to 1727) was the first British monarch to delegate some executive powers to a Prime Minister and a cabinet of the ministers, largely because he was also the monarch of Hanover in Germany and did not speak English fluently. Over time, arrangement continued to exercise executive authority on the sovereign's behalf. Such a concept was reinforced in The English Constitution (1876) by Walter Bagehot, who distinguished between the separate "dignified" and "efficient" functions of government. The sovereign should be a focal point for the nation ("dignified"), while the PM and cabinet actually undertook executive decisions ("efficient"). The head of state or his or her representative (such as a governor-general) formally appoints as the head of government whomever commands the confidence of the elected chamber of the legislature and invites him or her to form a government. In the UK, this is known as kissing hands. Although the dissolution of the legislature and the call for new elections is formally performed by the head of state, the head of state, by convention, acts according to the wishes of the head of government. A president, monarch, or governor-general might possess clearly significant reserve powers. Examples of the use of such powers include the Australian constitutional crisis of 1975 and the Canadian King–Byng affair in 1926. The Lascelles Principles were an attempt to create a convention to cover similar situations, but have not been tested in practice. Because of differences in their written constitutions, the formal powers of monarchs, governors-general, and presidents vary greatly from one country to another. However, as sovereigns and governors-general are not elected, and some presidents may not be directly elected by the people, they are often shielded from any public disapproval stemming from unilateral or controversial use of their powers. In the book The English Constitution, Walter Bagehot emphasised the divide of the constitution into two components, the Dignified (that part which is symbolic) and the Efficient (the way things actually work and get done), and called the Efficient "Cabinet Government". Although there have been many works since emphasising different aspects of the "Efficient", no one has seriously questioned Bagehot's premise that the divide exists in the Westminster system, though Israel and Japan operates without the "Dignified" part of government. Members of the Cabinet are collectively seen as responsible for government policy, a policy termed cabinet collective responsibility. All Cabinet decisions are made by consensus, a vote is rarely taken in a Cabinet meeting. All ministers, whether senior and in the Cabinet, or junior ministers, must support the policy of the government publicly regardless of any private reservations. When a Cabinet reshuffle is imminent, a lot of time is taken up in the conversations of politicians and in the news media, speculating on who will, or will not, be moved in and out of the Cabinet by the Prime Minister, because the appointment of ministers to the Cabinet, and threat of dismissal from the Cabinet, is the single most powerful constitutional power which a Prime Minister has in the political control of the Government in the Westminster system. The Official Opposition and other major political parties not in the Government, will mirror the governmental organisation with their own Shadow Cabinet made up of Shadow Ministers. The Parliament of New Zealand, Parliament of Queensland, and the parliaments of Canadian provinces have abolished their upper houses. The Parliament of Malta, the Papua New Guinea Parliament, the Legislative Council of Hong Kong, and the Israeli Parliament never had upper houses. Hong Kong, a former British crown colony and currently a special administrative region of the People's Republic of China, has a unicameral Legislative Council. While the Legislative Councils in British Australasian and North American colonies were unelected upper houses and some of them had since abolished themselves, the Legislative Council of Hong Kong has remained the sole chamber and had in 1995 evolved into a fully elected house, yet only part of the seats are returned by universal suffrage. Responsible government was never granted during British colonial rule, and the Governor remained the head of government until the transfer of sovereignty in 1997, when the role was replaced by the Chief Executive. Secretaries had remained to be chosen by the Chief Executive not from the Legislative Council, and their appointments need not be approved by the Legislative Council. Although essentially more presidential than parliamentary, the Legislative Council had inherited many elements of the Westminster system, including parliamentary powers, privileges and immunity, and the right to conduct inquiries, amongst others. Minutes are known as Hansards, and the theme colour of the meeting chamber is red as in other upper houses. Government secretaries and other officials are seated on the right hand side of the President in the chamber. The Chief Executive may dissolve the Legislative Council under certain conditions, and is obliged to resign, e.g., when a re-elected Legislative Council passes again a bill that he or she had refused to sign. Australia is, in many respects, a unique hybrid with influences from the United States Constitution as well as from the traditions and conventions of the Westminster system. Australia is exceptional because the government faces a fully elected upper house, the Senate, which must be willing to pass all its legislation. Although government is formed in the lower house, the House of Representatives, the support of the Senate is necessary in order to govern. The Senate maintains the ability similar to that held by the British House of Lords, prior to the enactment of the Parliament Act 1911, to block supply against the government of the day. A government that is unable to obtain supply can be dismissed by the Governor-General: however, this is generally considered a last resort and is a highly controversial decision to take, given the conflict between the traditional concept of confidence as derived from the lower house and the ability of the Senate to block supply. Many political scientists have held that the Australian system of government was consciously devised as a blend or hybrid of the Westminster and the United States systems of government, especially since the Australian Senate is a powerful upper house like the U.S. Senate; this notion is expressed in the nickname "the Washminster mutation". The ability of upper houses to block supply also features in the parliaments of most Australian states. The Westminster system has a very distinct appearance when functioning, with many British customs incorporated into day-to-day government function. A Westminster-style parliament is usually a long, rectangular room, with two rows of seats and desks on either side, and in some countries with a perpendicular row of seats and desks at the furthermost point from the Speaker's Chair at the opposite end of the chamber. In the Australian Parliament, in both the Upper House (Senate) and the Lower House (House of Representatives), the rows of chairs and desks are rounded at the end, opposite to the Speaker's Chair. This area in which the rows are rounded at one end of the chamber, is usually where the independent parties and minor parties are situated. The chairs in which both the government and opposition sit, are positioned so that the two rows are facing each other. This arrangement is said to have derived from an early Parliament which was held in a church choir. Traditionally, the opposition parties will sit in one row of seats, and the government party will sit in the other. Of course, sometimes a majority government is so large that it must use the "opposition" seats as well. In the lower house at Westminster (the House of Commons) there are lines on the floor in front of the government and opposition benches that members may cross only when exiting the chamber. It is often rumoured that the distance between the lines is that of the length of two swords although no documentary evidence exists to support this and, in fact, weapons have never been allowed in the Palace of Westminster at any time. At one end of the room sits a large chair, for the Speaker of the House. The speaker usually wears black robes, and in some countries, a wig. Robed parliamentary clerks often sit at narrow tables between the two rows of seats, as well. These narrow tables in the centre of the chamber, is usually where ministers or members of the house come to speak. Other ceremonies sometimes associated with the Westminster system include an annual Speech from the Throne (or equivalent) in which the Head of State gives a special address (written by the government) to parliament about what kind of policies to expect in the coming year, and lengthy State Opening of Parliament ceremonies that often involve the presentation of a large ceremonial mace. House of Representatives Monarchy Federated Nation, meaning that the power to govern the country and its people, is shared and divided between national and state governments. House of Commons Monarchy Federated Nation, meaning that the power to govern the country and its people, is shared and divided between national and provincial governments. Lok Sabha Republic Federated Nation, meaning that the power to govern the country and its people, is shared and divided between national and state governments. Israel Knesset Republic Disintermediated Westminster system: Powers which would have been exercised by the President of Israel are divided between the Prime Minister, the Cabinet, and the speaker of the legislature. House of Representatives Monarchy Disintermediated Westminster system: many non-reserve powers which would have been exercised by the Emperor of Japan on the advice of the Cabinet in an unmodified system are exercised directly by the Prime Minister, and Imperial reserve powers do not exist. Dewan Rakyat Constitutional monarchy The Yang-di-Pertuan Agong shares characteristics of heads of state in both monarchies and republics. The Westminster system was adopted by a number of countries which subsequently evolved or reformed their system of government departing from the original model. In some cases, certain aspects of the Westminster system were retained or codified in their constitutions. For instance South Africa and Botswana, unlike Commonwealth realms or parliamentary republics such as India, have a combined head of state and head of government but the President remains responsible to the lower house of parliament; it elects the President at the beginning of a new Parliament, or when there is a vacancy in the office, or when the sitting President is defeated on a vote of confidence. If the Parliament cannot elect a new President within a short period of time (a week to a month) the lower house is dissolved and new elections are called. The Union of South Africa between 1910 and 1961, and the Republic of South Africa between 1961 and 1984. The 1983 constitution abolished the Westminster system in South Africa. Nigeria following the end of British colonial rule in 1960, which resulted in the appointment of a Governor-General and then a President, Nnamdi Azikiwe. The system ended with the military coup of 1966. Ceylon between 1948 and 1972, and Sri Lanka from 1972 until 1978 when the constitution was remodelled into an Executive presidential system. Sierra Leone between 1961 and 1971. The Gambia between 1965 and 1970. Japan between 1890 and 1947, under the Meiji Constitution the Diet of Japan was a bicameral legislature modelled after both the German Reichstag and the Westminster system. Influence from the Westminster system remained in Japan's Postwar Constitution. ^ Johnston, Douglas M.; Reisman, W. Michael (2008). The Historical Foundations of World Order. Leiden: Martinus Nijhoff Publishers. p. 571. ISBN 978-9047423935. ^ Fieldhouse, David; Madden, Frederick (1990). Settler self-government, 1840-1900 : the development of representative and (1. publ. ed.). New York: Greenwood Press. p. xxi. ISBN 9780313273261. ^ "The Westminster System - Public Service Commission". www.psc.nsw.gov.au. Retrieved 2017-08-22. ^ a b "OBA.org - Articles". www.oba.org. ^ "Reinvigorating The Westminster Tradition". Archived from the original on 27 March 2013. Retrieved 28 February 2013. ^ "Chapter 2: The development of the Westminster system". www.aph.gov.au. Retrieved 2017-08-22. ^ "CONSTITUTION OF NEPAL 2015" (PDF). Archived from the original (PDF) on 23 December 2015. Retrieved 18 February 2016. ^ Hein, Patrick (2009). How the Japanese became foreign to themselves : the impact of globalization on the private and public spheres in Japan. Berlin: Lit. p. 72. ISBN 978-3643100856. ^ Moore, Ray A.; Robinson, Donald L. (2004). Partners for democracy : crafting the new Japanese state under MacArthur. Oxford University Press. p. 85. ISBN 978-0195171761. ^ Hook, Glenn D., ed. (2005). Contested governance in Japan : sites and issues. London: RoutledgeCurzon. p. 55. ISBN 978-0415364980. ^ "Special Issue Constitutional Law in Japan and the United Kingdom". King's Law Journal. 2 (2). 2015. Rhodes, R. A.W. ; Wanna, John; Weller, Patrick (2009). Comparing Westminster. Oxford University Press. ISBN 978-0191609817. Galligan, Brian; Brenton, Scott, eds. (2015). Constitutional Conventions in Westminster Systems. Cambridge University Press. ISBN 978-1107100244. The English Constitution, Walter Bagehot, 1876. ISBN 0-521-46535-4. ISBN 0-521-46942-2. Westminster Legacies: Democracy and Responsible Government in Asia and the Pacific, Haig Patapan, John Wanna, Patrick Weller, 2005. ISBN 0-868-40848-4. How the Westminster parliamentary system was exported around the world University of Cambridge. Module on Parliamentary Democracy Commonwealth Parliamentary Association. Westminster in the Caribbean: History, Legacies, Challenges University College London. What is the Westminster System? Parliament of Victoria video.